100% cotton and 44″-45″ wide. 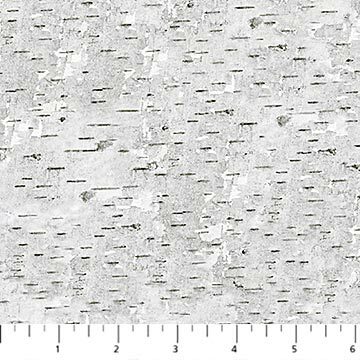 Looks like the bark on a birch tree. 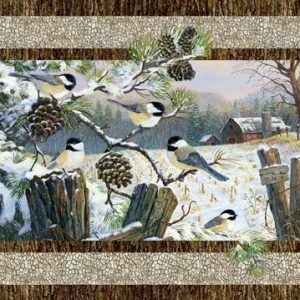 It works well with the Winter Chicadee panel. It will also work very well with any landscape project you may be working on.